A Linux-based/Windows-based virtual server that you can provision. You are limited to running up to a total of 20 On-Demand instances across the instance family, purchasing 20 Reserved Instances, and requesting Spot Instances per your dynamic Spot limit per region. Package OS and additional installations in a reusable template called Amazon Machine Images. Storage volumes for temporary data that are deleted when you STOP or TERMINATE your instance, known as instance store volumes. Take note that you can stop an EBS-backed instance but not an Instance Store-backed instance. You can only either start or terminate an Instance Store-backed instance. Persistent storage volumes for your data using Elastic Block Store volumes (see aws storage services). 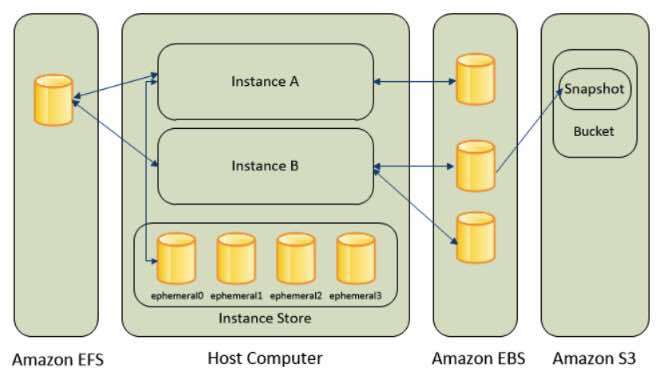 Multiple physical locations for deploying your resources, such as instances and EBS volumes, known as regions and Availability Zones (see AWS overview). A firewall that enables you to specify the protocols, ports, and source IP ranges that can reach your instances using security groups (see aws networking and content delivery). Static IPv4 addresses for dynamic cloud computing, known as Elastic IP addresses (see aws networking and content delivery). Virtual networks you can create that are logically isolated from the rest of the AWS cloud, and that you can optionally connect to your own network, known as virtual private clouds or VPCs (see aws networking and content delivery). Add a script that will be run on instance boot called user-data. Start – run your instance normally. You are continuously billed while your instance is running. Stop – is just a normal instance shutdown. You may restart it again anytime. All EBS volumes remain attached, but data in instance store volumes are deleted. You won’t be charged for usage while instance is stopped. You can attach or detach EBS volumes. You can also create an AMI from the instance, and change the kernel, RAM disk, and instance type while in this state. Terminate – instance performs a normal shutdown and gets deleted. You won’t be able to restart an instance once you terminate it. The root device volume is deleted by default, but any attached EBS volumes are preserved by default. Data in instance store volumes are deleted. To prevent accidental termination, disable instance termination. The root device volume contains the image used to boot the instance. Any data on the instance store volumes is deleted when the instance is terminated (instance store-backed instances do not support the Stop action) or if it fails (such as if an underlying drive has issues). You should also back up critical data from your instance store volumes to persistent storage on a regular basis. An Amazon EBS-backed instance can be stopped and later restarted without affecting data stored in the attached volumes. When in a stopped state, you can modify the properties of the instance, change its size, or update the kernel it is using, or you can attach your root volume to a different running instance for debugging or any other purpose. By default, the root device volume for an AMI backed by Amazon EBS is deleted when the instance terminates. 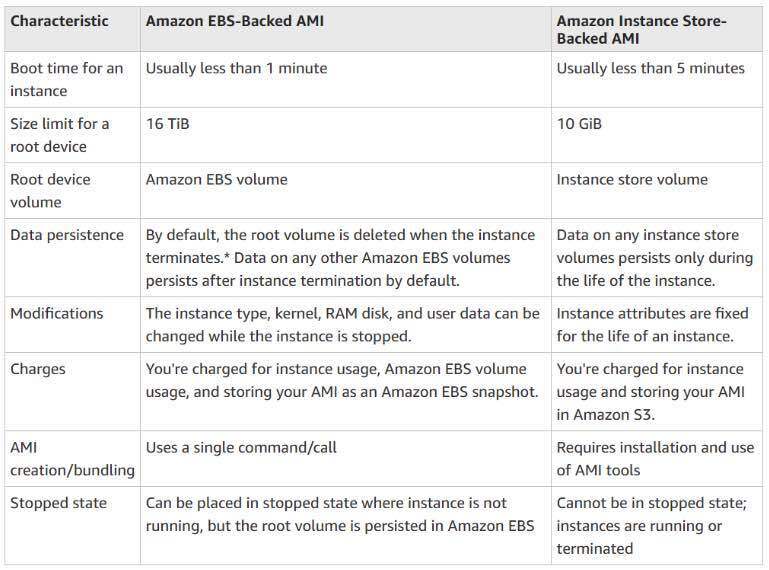 Backed by Amazon EBS – root device for an instance launched from the AMI is an Amazon EBS volume. AMIs backed by Amazon EBS snapshots can use EBS encryption. Backed by Instance Store – root device for an instance launched from the AMI is an instance store volume created from a template stored in S3. You can copy AMIs to different regions. On-Demand – pay for the instances that you use by the second, with no long-term commitments or upfront payments. Reserved – make a low, one-time, up-front payment for an instance, reserve it for a one– or three-year term, and pay a significantly lower hourly rate for these instances. 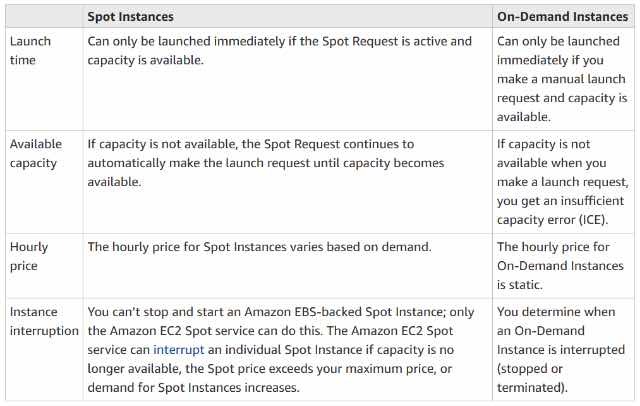 Spot – request unused EC2 instances, which can lower your costs significantly. Dedicated Hosts – pay for a physical host that is fully dedicated to running your instances, and bring your existing per-socket, per-core, or per-VM software licenses to reduce costs. Dedicated Instances – pay, by the hour, for instances that run on single-tenant hardware. AWS imposes a small hourly charge if an Elastic IP address is not associated with a running instance, or if it is associated with a stopped instance or an unattached network interface. You are charged for any additional Elastic IP addresses associated with an instance. If data is transferred between these two instances, it is charged at “Data Transfer Out from EC2 to Another AWS Region” for the first instance and at “Data Transfer In from Another AWS Region” for the second instance. Use IAM to control access to your instances (see AWS Security and Identity Service). Create different security groups to deal with instances that have different security requirements. You can add rules to each security group that allow traffic to or from its associated instances. New rules are automatically applied to all instances that are associated with the security group. Evaluates all the rules from all the security groups that are associated with an instance to decide whether to allow traffic or not. Allows all outbound traffic from the instance. Disable password-based logins for instances launched from your AMI, since passwords can be cracked or found. An Elastic IP address is a static IPv4 address designed for dynamic cloud computing. With it, you can mask the failure of an instance or software by rapidly remapping the address to another instance in your account. You need to associate an Elastic IP address with your instance to enable communication with the internet. By default, all AWS accounts are limited to five (5) Elastic IP addresses per region, because public (IPv4) internet addresses are a scarce public resource. By default EC2 instances come with a private IP. Every instance in a VPC has a default network interface, called the primary network interface (eth0). You cannot detach a primary network interface from an instance. You can create and attach additional network interfaces. The maximum number of network interfaces that you can use varies by instance type. Default interfaces are terminated with instance termination. Scale with EC2 Scaling Groups and distribute traffic among instances using Elastic Load Balancer. System Status Checks – monitor the AWS systems required to use your instance to ensure they are working properly. These checks detect problems with your instance that require AWS involvement to repair. Instance Status Checks – monitor the software and network configuration of your individual instance. These checks detect problems that require your involvement to repair. Amazon CloudWatch Alarms – watch a single metric over a time period you specify, and perform one or more actions based on the value of the metric relative to a given threshold over a number of time periods. 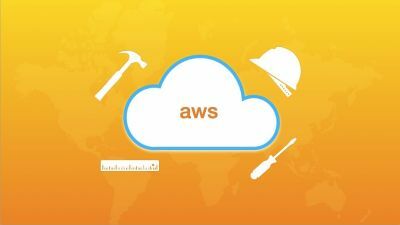 Amazon CloudWatch Events – automate your AWS services and respond automatically to system events. Amazon CloudWatch Logs – monitor, store, and access your log files from Amazon EC2 instances, AWS CloudTrail, or other sources. Monitor your EC2 instances with CloudWatch. By default, EC2 sends metric data to CloudWatch in 5-minute periods. Instance metadata is data about your instance that you can use to configure or manage the running instance. Instance metadata and user data are not protected by cryptographic methods. You can pass two types of user data to EC2: shell scripts and cloud-init directives. User data is limited to 16 KB. You can launch or start instances in a placement group, which determines how instances are placed on underlying hardware. Cluster – clusters instances into a low-latency group in a single Availability Zone. Recommended for applications that benefit from low network latency, high network throughput, or both, and if the majority of the network traffic is between the instances in the group. Spread – spreads instances across underlying hardware. Recommended for applications that have a small number of critical instances that should be kept separate from each other. Note: A spread placement group can span multiple Availability Zones, and you can have a maximum of seven running instances per Availability Zone per group. Provides durable, block-level storage volumes that you can attach to a running instance. Use as a primary storage device for data that requires frequent and granular updates. To keep a backup copy of your data, create a snapshot of an EBS volume, which is stored in S3. You can create an EBS volume from a snapshot, and attach it to another instance. Provides temporary block-level storage for instances. The data on an instance store volume persists only during the life of the associated instance; if you stop or terminate an instance, any data on instance store volumes is lost. Provides scalable file storage for use with Amazon EC2. You can create an EFS file system and configure your instances to mount the file system. You can use an EFS file system as a common data source for workloads and applications running on multiple instances. Provides access to reliable and inexpensive data storage infrastructure. Storage for EBS snapshots and instance store-backed AMIs. EC2 resources include images, instances, volumes, and snapshots. When you create a resource, AWS assigns the resource a unique resource ID. Some resources can be used in all regions (global), and some resources are specific to the region or Availability Zone in which they reside. You can use the same AWS account in all regions. The key pairs that you create using EC2 are tied to the region where you created them. You can create your own RSA key pair and upload it to the region in which you want to use it; therefore, you can make your key pair globally available by uploading it to each region. Each resource name, such as a security group name or key pair name, is tied to its region and can be used only in the region where you created the resource. Although you can create resources with the same name in multiple regions, they aren’t related to each other. An AMI is tied to the region where its files are located within S3. You can copy an AMI from one region to another. An Elastic IP address is tied to a region and can be associated only with an instance in the same region. A security group is tied to a region and can be assigned only to instances in the same region. You can’t enable an instance to communicate with an instance outside its region using security group rules. An EBS snapshot is tied to its region and can only be used to create volumes in the same region. You can copy a snapshot from one region to another. An EBS volume is tied to its Availability Zone and can be attached only to instances in the same Availability Zone. An instance is tied to the Availability Zones in which you launched it. However, its instance ID is tied to the region. You can optionally assign your own metadata to each resource with tags, which consists of a key and an optional value that you both define.